. : Become Part of the Legend - Go for a 50th CSM Anniversary Award! :: Ski XCOttawa.ca :: Skiing in Ottawa and Gatineau Park :. Become Part of the Legend - Go for a 50th CSM Anniversary Award! 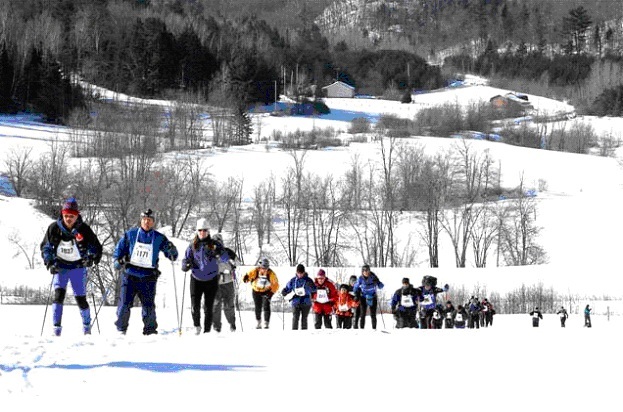 Started in 1967 as a Canadian Centennial event, 2016 will mark a Half Century of the Canadian Ski Marathon. 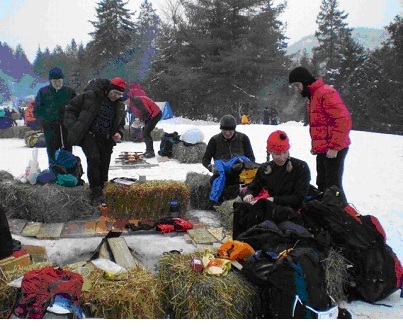 Rich in history and culture of celebrating winter, the CSM has been held every year on the second weekend in February. Ski adventurers of all ages and abilities, Olympians and young jackrabbits alike, come to experience the CSM’s unique blend of personal challenge, beautiful scenery on groomed classic tracks, camaraderie, and fun checkpoints with tasty snacks along the way. 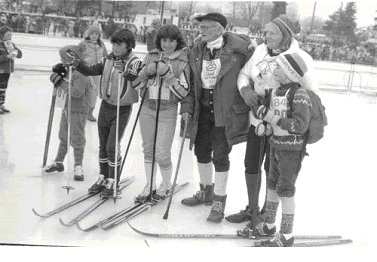 Come ski the beautiful trails of the CSM in the Laurentian Hills of Québec in the historical tracks of the legendary Herman “Jackrabbit” Smith-Johanssen, and become part of the CSM legend. Celebrate North America’s longest, and longest running, ski tour by challenging yourself over the next three years to earn awards in one of the Special 50th CSM Anniversary Award Categories: Golden on 50th and Super Tourer on 50th. Skiers who complete Coureur des Bois(CdB) Gold in 2016, will be placed on a special “Golden on 50th” roll of honour on the CSM web site, and receive a special “Golden on 50th” award. If you have never done CdB: you can start in 2014 and, if you are skillful and determined enough, achieve the Gold award in 2016, (Bronze in 2014, Silver in 2015). If you have done Bronze or Silver: and have been away from the CSM for a few years, this is a great motivation for accomplishing Gold. If you already have Gold: make sure you ski the 50th for this special award. And participate in 2014 and 2015 to keep in shape. Of course, it would be extra special if you earn your permanent Gold bib number on the 50th anniversary! Skiers who complete at least 18 sections of the of the CSM over the next three years, in any touring category, and participate in 2016 will be placed on a special “Super Tourer on 50th” roll of honour on the web site and receive a special “Super Tourer on 50th” award. If you have never participated in the CSM: you can start in 2014 and earn this award by 2016: a significant accomplishment as you would need to average 3 sections on each day of the CSM from 2014 to 2016. One way of doing this is by completing the Half-Marathon each year. If you already have already skied some sections of the CSM: at the same time as earning the special 50th year award, this is a great opportunity to add 18 to the number of sections that you have skied previously and make great strides towards achieving the Weber Touring Trophy, earning your permanent touring bib number, (for 50 sections skied over any number of years as a tourer, starting in 1996). So, come ski the CSM and Become part of the Legend! CSM: 2008 CSM Stories: A brief history with a few pictures thrown in. 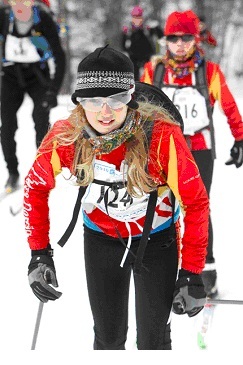 CSM: Successful 2012 Canadian Triple Ski Challengers!